Nearly 20 state pools were closed for review after a 36-year-old resident drowned in the Fall River Veteran’s Memorial Swimming Pool. The Massachusetts drowning accident wasn’t discovered until two days after it happened. Residents are now being let back into these pools. They were temporarily shut down after that fatal safety lapse in Fall River. All pools had to pass precautionary inspections. A number of agencies were on the case, conducting investigations into the deadly accident. The state Department of Conservation and Recreation started its review of the facility after receiving permission from the Bristol district attorney’s office and police. 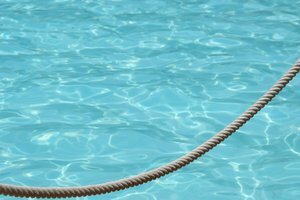 Our Boston pool accident attorneys know that many residents and visitors jump into these pools during this time of year because the summer months provide such beautiful outdoor weather. According to the Centers for Disease Control and Prevention, approximately 10 people die every day from unintentional drownings. Two of these 10 deaths occur to children under the age of 15. As a matter of fact, drowning is the second leading cause of death for children in this age group. Drowning is the sixth leasing cause of unintentional injury death for people of all ages. In 2007 alone, there were nearly 3,500 deaths resulting from unintentional drownings in the United States. These figures do not include boating-related drownings. One-fifth of every drowning victim is a young child under the age of 15. For every one of these child deaths, four more are sent to emergency rooms for nonfatal submersion injuries. More than half of all people who experience a drowning incident are treated in emergency departments and are required to stay in the hospital or are transferred to higher levels of care. These nonfatal drownings can cause brain damage. Oftentimes these injuries result in long-term disabilities including memory problems, learning disabilities and permanent loss of basic functioning. -Supervise all children when around water. Remain close enough to reach children at all times. Prohibit adults from being involved in any other distracting activity while supervising children. -Swim with the buddy system. Never swim alone. Swim in areas that have lifeguards whenever possible. -Learn to Swim. Formal swimming lessons can help to protect people from drowning. -Learn cardiopulmonary resuscitation (CPR). CPR can help to save someone’s life in the time it might take for paramedics to arrive. -Don’t use air-filled or foam toys. These toys should not be used in place of life jackets or personal flotation devices. They’re not designed to keep swimmers safe. -Don’t drink and swim. Don’t drink while supervising swimming children either. If you are dealing with a Massachusetts drowning accident, contact the Law Offices of Jeffrey S. Glassman for a free and confidential appointment to discuss your rights. Call 877-617-5333.